Renowned Egyptian actor Khaled Saleh has died from complications after undergoing open heart surgery at the Magdy Yacoub Facility in Aswan. He was 50. Saleh was born in Giza on 23 January 1964. His funeral is set to take place on Friday in Cairo. 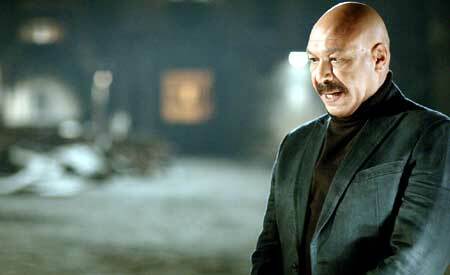 Saleh was one of Egypt's most respected actors over the last two decades, with an impressive list of cinema and television productions under his belt. During his law studies, he participated in several university theatre performances. Upon the opening of Hanager Theatre in the 1990s at the Cairo Opera House grounds he joined independent and amateur theatre troupes at the venue. He was cast in several roles during this time, including his first main role in a theatre play Ehtefal Khas Ala Sharaf El A'ela (1992), written by Sayed Haggag, which brought much attention to his unique acting skills. After continuing for several years to take part in theatrical performances, film directors started noticing his skills and potential for cinema and that was when his film career began. Saleh's first cinematic appearance was in 1999 in the film Gamal Abdel-Nasser – directed by Anwar El-Quadry – where he played an intelligence officer. During the same year, he also appeared in the television production Om Kalthoum, which received a wide following during Ramadan. His cinema career took off in the early 2000s through his roles as a villain or tyrant in films such as Malaki Eskendereya and Tito. During this time, he was performing supporting roles in up to four films a year, working in a variety of genres from comedy to drama and romantic comedies. His role in Tarek El-Eryan's Tito, with Ahmed El-Saqqa, was considered the real launching point of his cinematic career. The film was one of the highest grossing films in Egyptian cinema history and Saleh was awarded the Best Supporting Actor Award at the Egyptian National Theatre Festival in 2005. Some of his other most memorable performances in cinema include the role of a corrupt government official in the 2006 adaptation of Alaa Al-Aswany's The Yacoubian Building, and a corrupt police officer in Youssef Chahine's last feature film, Heya Fawda. Besides cinema, his television career was also thriving, with almost yearly performances. In 2009 he won the Best Actor Award for his role in the television series Tager El-Saada at the General Media Festival. His most important roles in television include Al-Rayan, with director Khaled Youssef, and Faroan (The Pharaoh). Saleh was known for his charitable work with Egyptian non-governmental organisations. He also donated money to the Luxor African Film Festival's fourth edition along with the Seventh National Theatre Festival. Moreover, Salah actively adopted and trained other younger actors despite his busy schedule. His last cinematic role was in the upcoming sequel to El-Gezira, alongside Ahmed El-Saqqa and Hend Sabry, directed by Sherif Arafa, set to hit cinemas this Eid holiday. Saleh was a strong supporter of the 25 January revolution that toppled dictator Hosni Mubarak, joining thousands in Tahrir Square during the 18-day uprising. 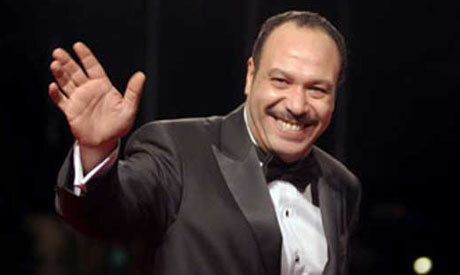 Egypt's theatre and cinema community mourn the actor's passing with great sadness. “My brother and lifetime friend Khaled Saleh has joined God's heaven. May God have mercy on you and bless you with forgiveness, my friend. You will be in heaven if God wills it,” theatre director Khaled Galal wrote on his personal Facebook page.